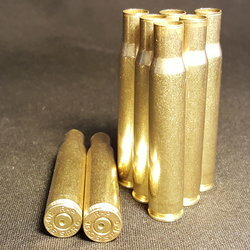 I ordered 100 pieces of .338 lapua brass from Diamond K Brass on Monday afternoon, and had them on Thursday (I'm in New York)!!!! The brass was polished, and in perfect condition. I will never buy brass from another place. These folks are THE BEST out there! You don't have to take my word for it though... it'll just leave more brass for me.